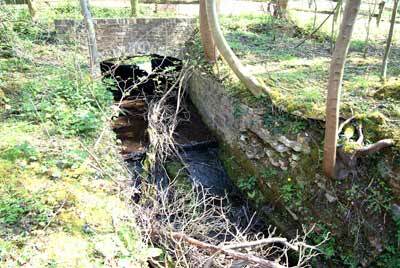 Buckenham Tofts watermill was another estate mill that has long disappeared. 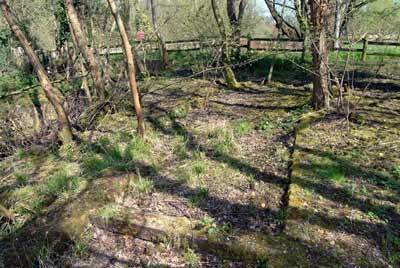 Although it was still in use in 1928, by 1977, all that was left was some brickwork, the old wheelrace channels, part of the weed grid and some ironwork on the ground with one gear wheel. 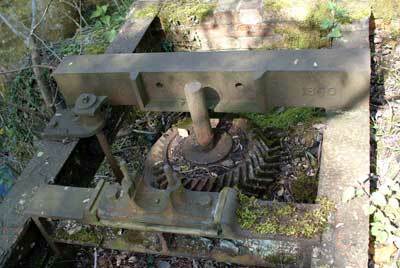 One section of the ironwork bore the date 1840, which almost certainly relates to the time of the mill's reconstruction. The document is part of a very rare C17th set of estate and other accounts in an even rarer binding. 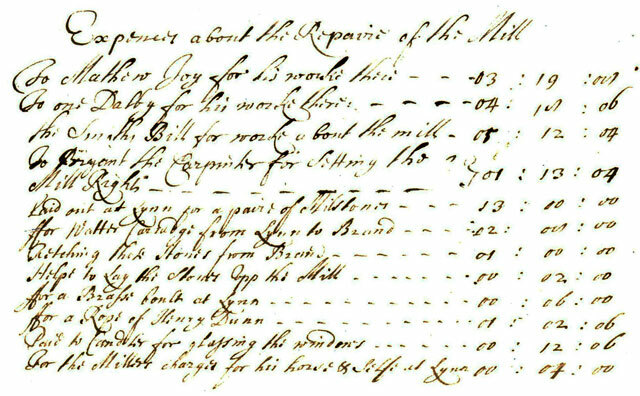 It states that the expenses were for the period from May 1667 and for repairs to the mill. 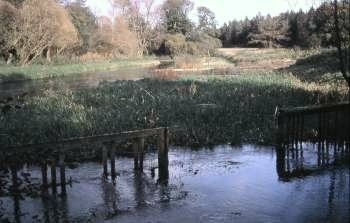 It seems as if the stones were carried by water to Brandon and then carted to Buckenham Tofts. 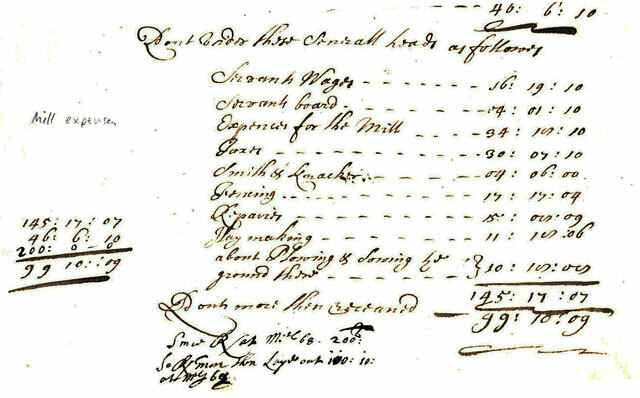 "Paid out at Lynn for a pair of Millstones for Watter Carradge from Lynn to Brand." "Fetching the stones from Brand." "Helpt to Lay the stones Upp the Mill." 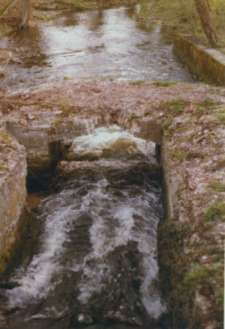 By 2005 the northern wheel channel tailrace arch had collapsed and the majority of its water had been diverted to the mill bypass by virtue of filling in the mill dam leaving just a small channel that presumably helped in times of flood. 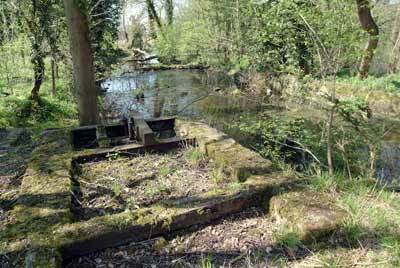 At around the time the mill was demolished the southern wheel channel was filled in for the majority of its length. 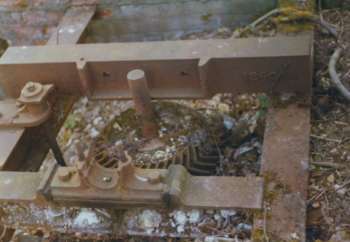 The ironwork and remaining gearwheel indicates that the channel may well have housed a turbine. 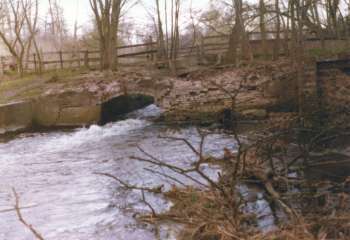 The keystone above the southern wheelrace arch bears the inscription LP 1761, which probably relates to when the mill was built or rebuilt. 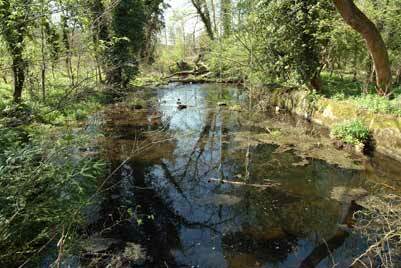 Farmer Mr. Dennis Burton was surprised to read that the historic Old Buckenham Mill on his farm was to be turned into a youth field centre. 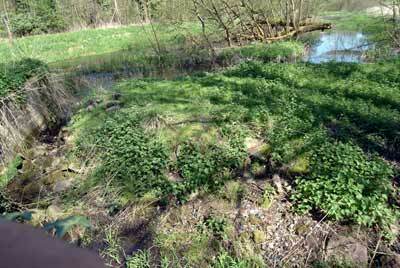 For Mr. Burton, of Mill Farm, Old Buckenham, knew nothing about any scheme and he did not want a field centre on his farm. When his neighbours also read about the £20,400 scheme they were none to pleased, either. The information, which started the furore at Old Buckenham came from a Manpower Services Commission Press release. 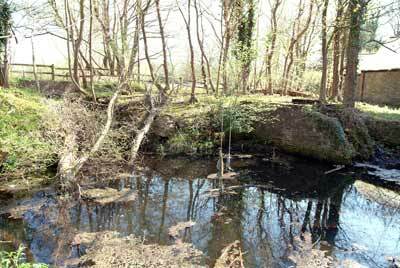 The Commission said it was going to give Old_Buckenham_Mill, an early 19th century windmill a new lease of life. 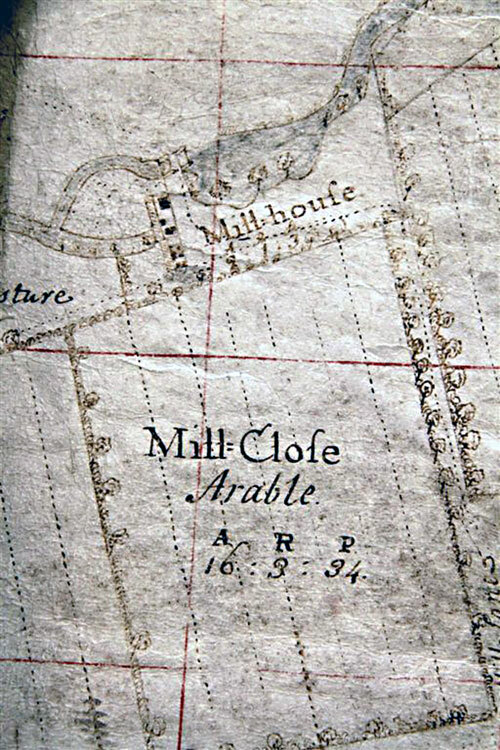 Two craftsmen and eight unemployed youngsters would put in lavatories, showers and partitions so the mill could be used as a centre for field studies, painting and other activities. 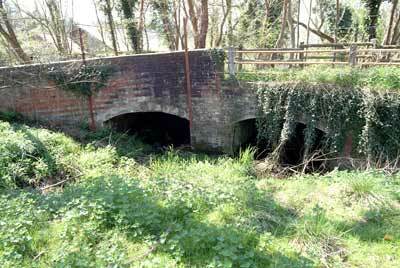 The mystery was finally cleared up by Norfolk County Council Youth and Community officer, Mr Cyril Grant, who is sponsoring the scheme with the commission. 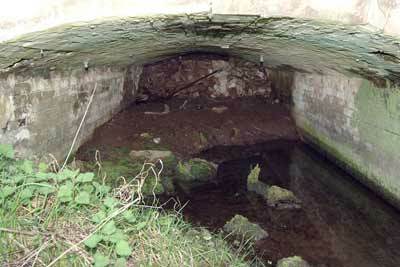 “The mill we are converting is at Buckenham Tofts, near Mundford, on the edge of the battle area,” he said. 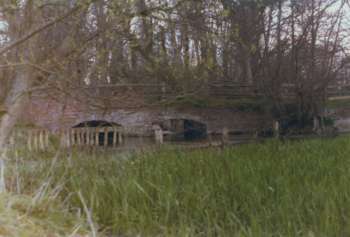 The brick and flint watermill stands beside the River Wissey, next to a campsite already used the county council youth service. 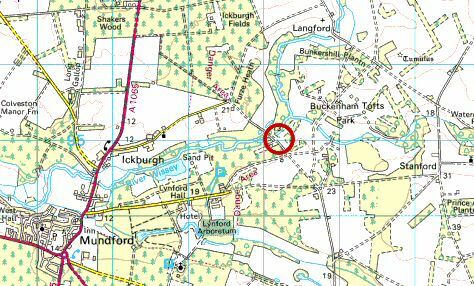 With the £20,400 grant from the commission, plus £5,000 from the West Norfolk Jubilee Trust and some money from the county education budget, the empty building will become a much needed field centre for the area. 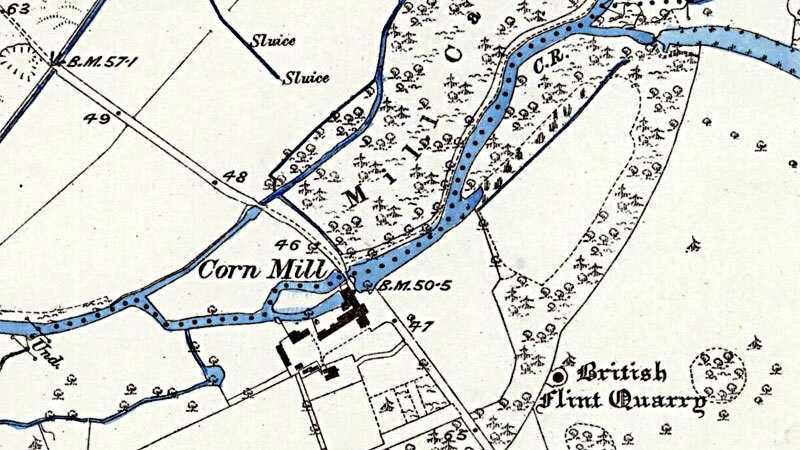 Mr. Grant was certain Norfolk County Council had no designs on Mr. Burtons mill and neither had the commission. 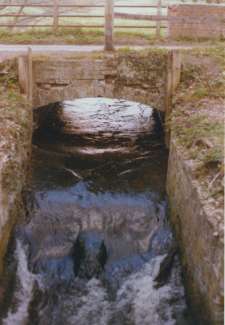 One of the millstones was squared off and set in the bank as a step.